Kara Boltz, Soilcea’s lead scientist, with some of the company's highly-tolerant citrus seedlings. Soilcea uses CRISPR-Cas9 technology to create citrus trees highly tolerant to citrus canker and greening. TAMPA, Fla. (Oct. 3, 2018) – Two devastating diseases in Florida’s citrus industry – citrus greening and citrus canker – have cost growers billions of dollars in destroyed trees and left Florida’s iconic agricultural industry reeling. 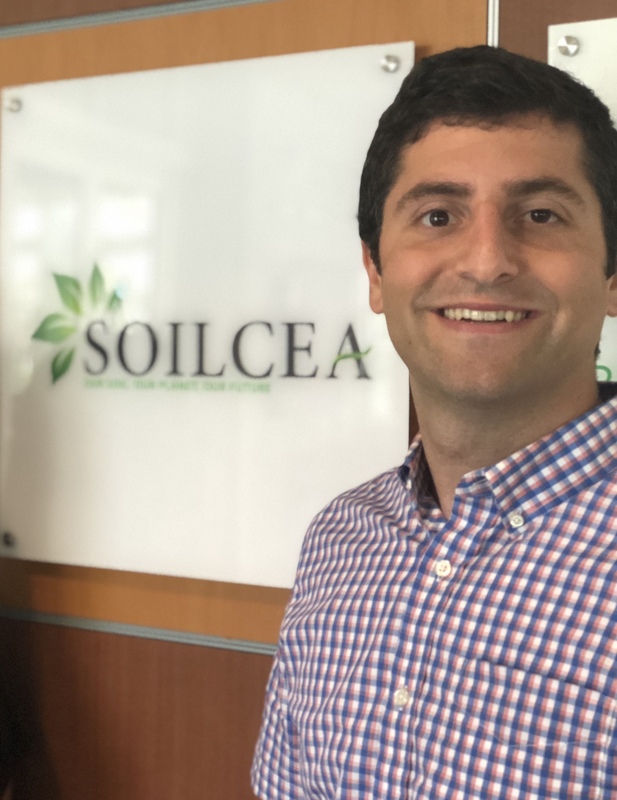 But now Soilcea, a startup founded from technology developed by University of Florida’s Institute of Food and Agricultural Sciences Professor Nian Wang and a new resident company in USF's Tampa Bay Technology Incubator, has won one of Florida’s top awards in innovation for its gene-editing technology to combat citrus greening and canker. Soilcea has been awarded the annual Cade Museum Prize, one of Florida’s most prestigious competitions for early-stage inventors and entrepreneurs, for its work in using the genetic editing tool CRISPR-Cas9 to create citrus trees highly tolerant to the diseases. 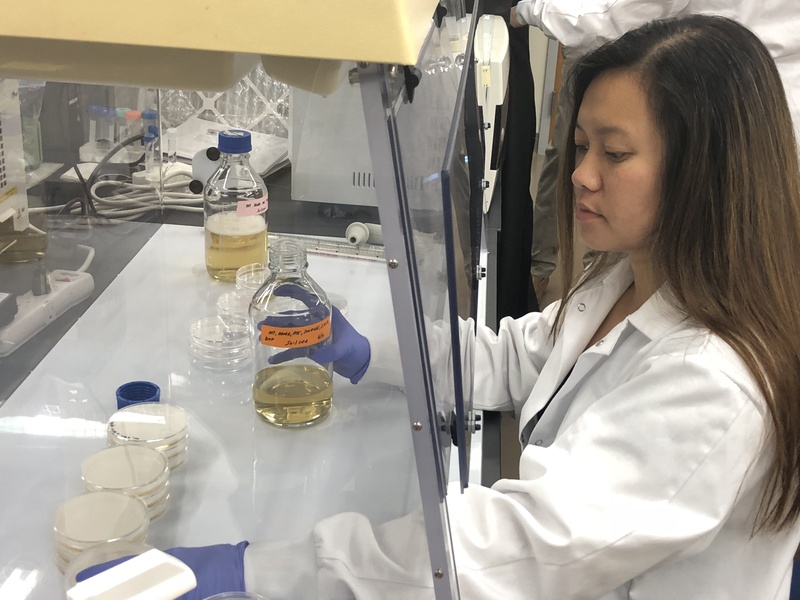 With its new laboratory facilities at the USF Research Park having just begun operations, Soilcea will work with Florida citrus growers to test the first generation of gene-edited “highly tolerant” trees. Because Soilcea’s use of CRISPR-Cas9 mimics a natural process of gene mutation and no foreign DNA is introduced into the plant, neither the trees nor their fruit will be considered genetically modified by the U.S. Department of Agriculture. The technology was developed by Wang at UF/IFAS, and exclusively licensed to Soilcea. “This research is a critical measure to help the citrus industry survive and highly-tolerant trees are needed to encourage growers to replant with confidence,” Soilcea President Yianni Lagos said. “The USF incubator program provides the opportune lab environment and close proximity to nurseries and growers throughout Florida. Citrus greening - or Huanglongbing (HLB) – is one of the most serious citrus plant diseases in the world, according to the USDA. It is spread through disease-infected insects and trees struck with the disease produce misshapen and bitter fruit. There is no recovery from the disease for the trees, which are destroyed or die after infection. Citrus canker has a long history in Florida, but the most recent outbreaks have been the most devastating to the industry. The USDA reports that citrus canker – the bacterial plant pathogen Xanthomonas citris pv. citri and also spread by insects – causes lesions on fruit, foliage and the young stems of citrus trees. The disease causes a dieback of leaves and mature fruit to drop. Soilcea’s application of the technology for citrus canker that is licensed from UF Innovate is further along in its development, Lagos said. As a solution for citrus greening, the technology is still in the experimentation phase. Soilcea has also entered a license with the Florida Foundation Seed Producers to edit a promising new citrus variety developed by UF/IFAS. 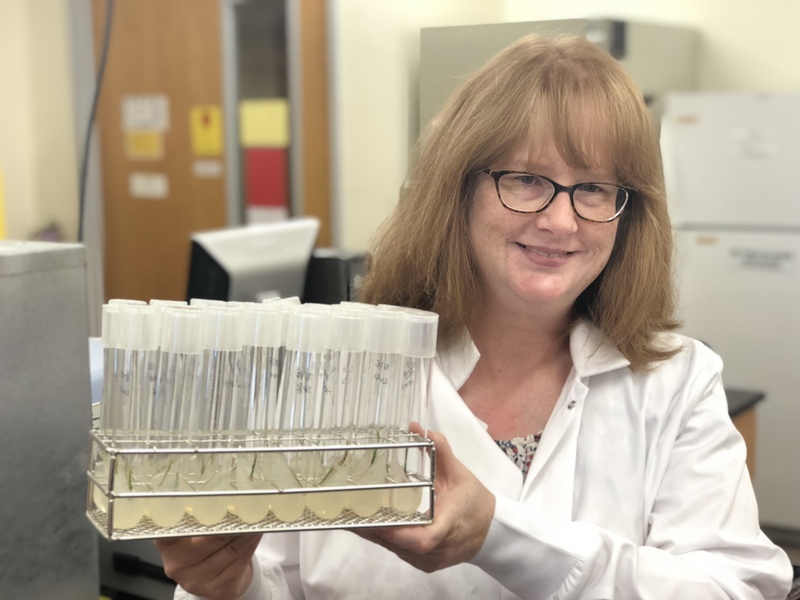 “Due to the absence of foreign DNA, Soilcea's citrus trees will provide a highly tolerant, non-GMO solution to both canker and citrus greening,” said Kara Boltz, Soilcea’s lead scientist who is conducting the gene editing at the USF incubator lab. Soilcea has licensed CRISPR-Cas9 technology for use in citrus from the Broad Institute, a joint venture of the Massachusetts Institute of Technology and Harvard University. Soilcea also recently received an investment from Evans Properties, which has grown citrus since 1951. To learn more about Soilcea visit www.soilcea.com. Soilcea is creating CRISPR-edited citrus trees that are highly tolerant to the citrus industry’s deadliest diseases. Two bacterial diseases, citrus canker and Huanglongbing (greening), are decimating the Florida citrus industry, having already cost the state over $7.8 billion in lost revenue. At Soilcea, our in-house team is working diligently with leading researchers at the University of Florida’s Institute of Food and Agricultural Sciences to forestall the rapid decline of citrus production and deliver citrus trees highly tolerant to these deadly pathogens by using the targeted CRISPR/Cas9 editing system. For media inquiries, contact Yianni Lagos at yianni@soilcea.com. The University of South Florida's Tampa Bay Technology Incubator (TBTI) is one vehicle through which USF CONNECT grows successful companies. USF CONNECT is a business and economic development initiative of USF that provides support for companies including technology and life science start-ups by facilitating access to top-tier research, programming, faculty, students, supporting organizations and funding sources.